DAVID LE/Staff photo. 5/6/15. 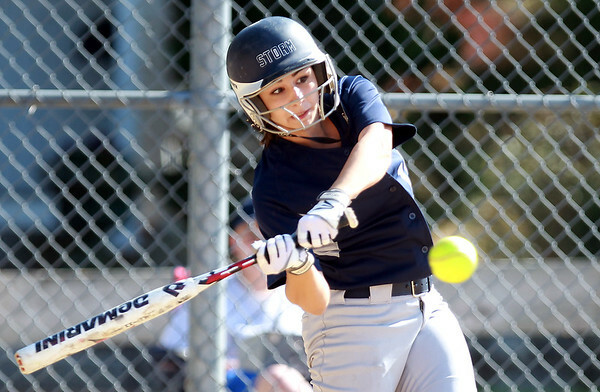 Swampscott's Christina King launches a grand slam off Danvers starter Madison Mucci to give the Big Blue a 5-0 lead in the first inning of play.